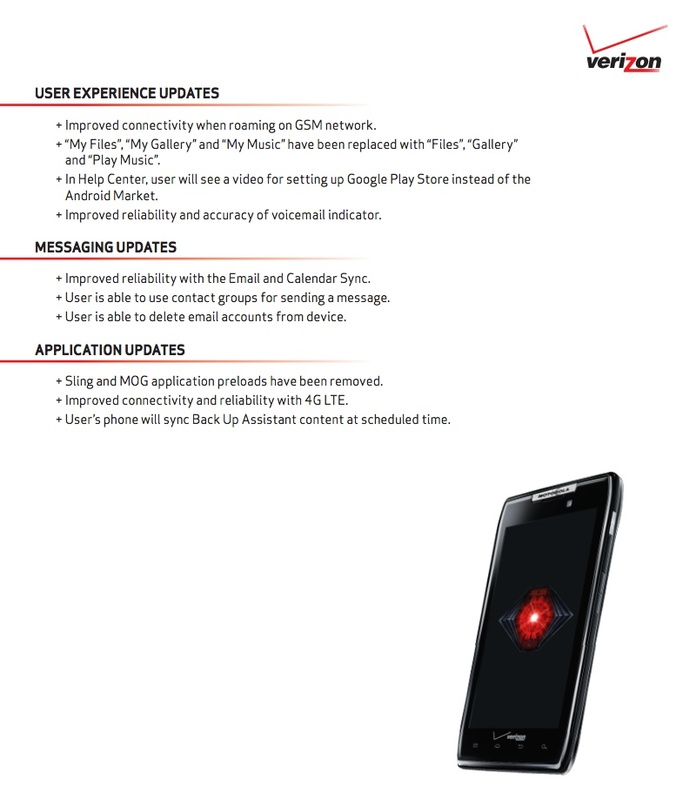 After Motorola announced that the Jelly Bean update for the DROID RAZR and RAZR MAXX was officially rolling out in phases beginning today, Verizon decided to join the party by releasing their official changelog. In it, you’ll see further confirmation that 98.72.16 is indeed the final build number. They mention that it’s Android 4.1, but we all know that it’s actually 4.1.2. 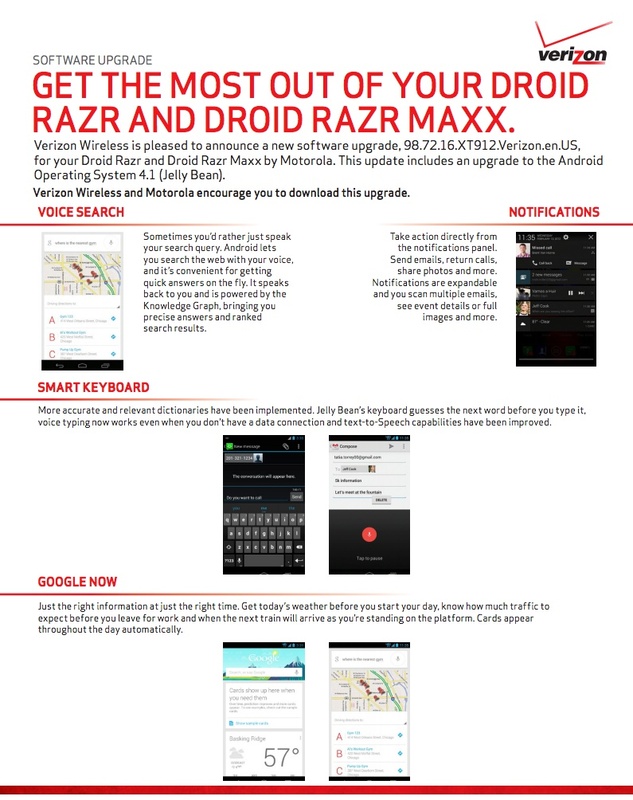 With the update, you’ll see improved Voice Search, enhanced notifications, a smarter keyboard (with gesture typing), more from Google Now, better network connectivity, the removal of all sorts of bloatware, and more. If you haven’t yet updated, feel free to do so manually. We have files for those coming from Ice Cream Sandwich (here) and also for those who updated to Jelly Bean in December (here). The changelog from Motorola can be found here.